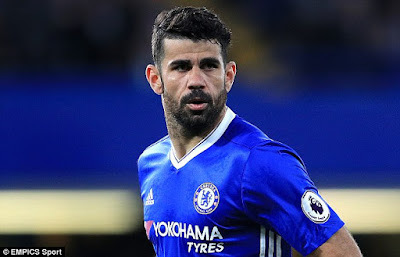 Chelsea head coach, Antoni Conte, has revealed he won't have any problem shaking the hands of Spanish striker, Diego Costa, when Chelsea and Atletico Madrid clash in the UEFA Champions Legue this season. Costa, 28, completed his long wanted move to former club, Atletico Madrid on Thursday, bringing an end to his long feud with Conte after the striker revealed that he was informed by the coach that he was surplus to requirements at Stamford Bridge via a text message. 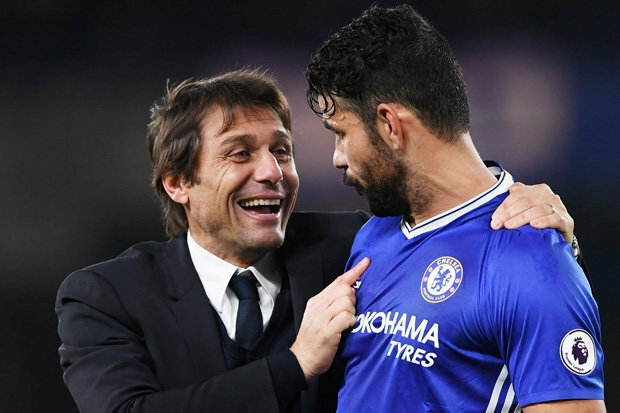 Costa's goals helped Chelsea win the English premier league title last season, but following a standoff with Conte, he was informed by the coachh to find another club at the end of last season which led Costa to go on strike in his homeland after he was ordered to train with the reserve team following his refusal to join Chinese club in the summer. Costa finally joined Atletico on Thursday but Conte claims he'll have no problems greeting the powerful striker despite the nature of his exit. "I don't forget that we won together.' Conte told reporters on Friday evening's press conference..
"I repeat - for sure we want to thank him for his effort last season, not only last season but in the period he played for Chelsea." “Yeah, I would have no problem [shaking Costa’s hand],” Conte added. “I repeat, I think this is a lack of respect for my players [to talk about Costa] because Diego is an Atletico player. Diego Costa's 52 premier league goals over a three year period ensured Chelsea won two premier league titles.